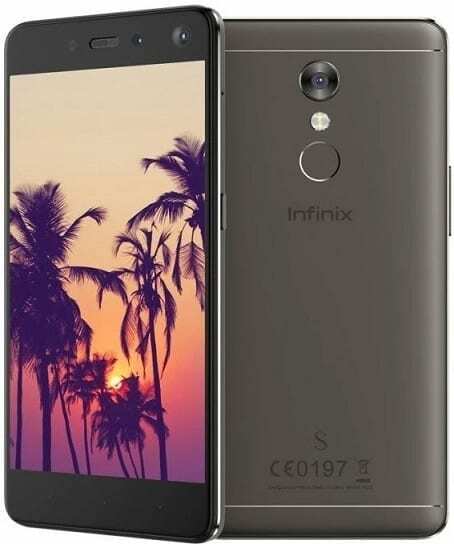 Infinix Hot S2 Pro (a.k.a Infinix S2 Pro X522) has been released now as a successor to the Infinix Hot S, considering the awesome design and specs we saw from Infinix in Hot S, same awesome specs have the new device from the S series and the device is tagged the Selfie King which means it has the ability to cover more persons in a selfie, the most outstanding feature of the Infinix S2 Pro is a dual-front camera, which should make it a toast of selfie lovers. The Infinix Hot s2 Pro was announced in April 2017 and sporting a dual-front facing camera makes it one of the best mid-range smartphones as at the time of this post to take those powerful selfies for your social media handles. Infinix S2 Pro Infinix S2 continues to bring the same similar premium design that was started with the Hot S, with a metallic back, and it comes with 5.2-inch HD screen with a 2.5D curved glass display protected by a dragon trail glass, it is super designed to suit the palm and it rocks different colours Rose gold, gold, black and blue. Presently we are in the age of Nougat operating system, but this device lack that instead it runs on Android 6.0 Marshmallow based on Infinix’s custom XOS UI, It is powered by a 1.3GHz octa-core processor, it has an impressive 3GB RAM and a 32GB internal memory which is upgradable via SD card up to 128GB, it also has a 3000mAh battery capacity with quick charge. It’s a dual SIM smartphone with 4G LTE support for ultra-fast browsing experience. It comes with a fingerprint sensor for security and phone lock. The Infinix S2 Pro has joined the likes of LG V20 and Vivo V5 Plus with its dual front-facing camera. Hot S2 The front-facing camera comes in an amazing 3 MP f/2.2 SK3L8, and 8 MP OV8856 with auto-focus, wide-angle selfie, and single LED flash while the back camera has a 13MP snapper with a dual LED flash. The 13MP camera at the front of the Hot S2 Pro takes a normal selfie while the second 8MP camera is for wider angle selfie. When activated it’s able to capture more people in a single selfie. I think loving a smartphone presently is all about the specs of the phone. Firstly I will emphasize on the battery of this device which is packed with a 3000mAh battery. In my opinion, that is manageable but wouldn’t serve you a full day’s use. In the terms of quality shot, Infinix devices have been taking the market with their awesome smartphones that guarantee you of quality when recording or shooting.